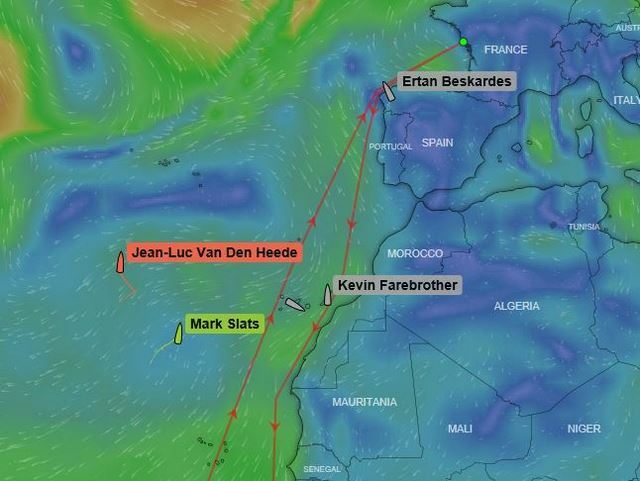 With less than 1,700 miles back to the finish in Les Sables d’Olonne, 2nd placed Dutchman Mark Slats has sliced a further 393 miles out of Jean-Luc Van Den Heede’s lead In terms of distance to finish over the past 8 days. At 08:00 UTC today, the gap was just 49 miles, Slats having gained 205 miles in the past 48 hours. But Slats is pushing hard despite a few problems of his own. 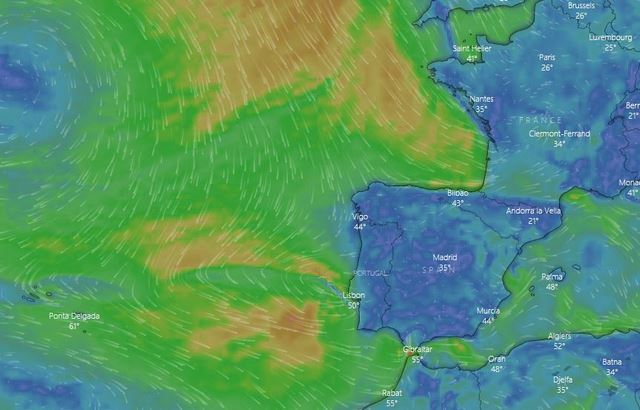 In a satellite call to Race HQ on Monday, the Dutchman reported for the first time that he ran out of fresh water supplies a week ago, and is now using his emergency desalinator to turn salt water into fresh. It is hard work. An hour of pumping with both hands produces just 750ml of water – barely a cup full. The average daily intake is 2.5litres – 3 hours pumping! 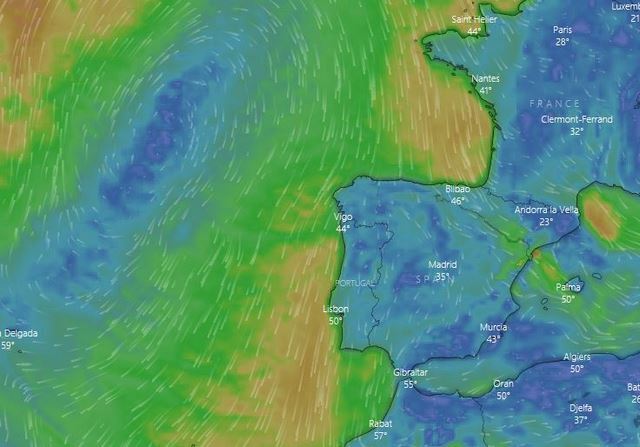 Third placed Estonian skipper Uku Randmaa whose Rustler 36 One and All, has also been beset by barnacle growth since crossing the Indian Ocean, is today caught in calms in the South Atlantic, some 3,000 miles behind the leading duo. He dived yesterday, and reported: “I’m swimming with dolphins.” We hope he recognises the difference between these mammals and their more aggressive distant cousins! 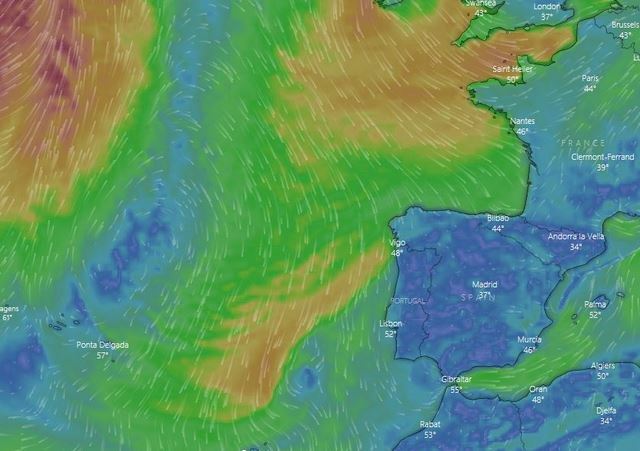 800 miles to the South, American/Hungarian Istvan Kopar is making great progress northwards in his Tradewind 35 Puffin, seemingly having overcome his self-steering problems but had to stop for half a day to repair the wheel drum connecting ropes to the boat main steering. 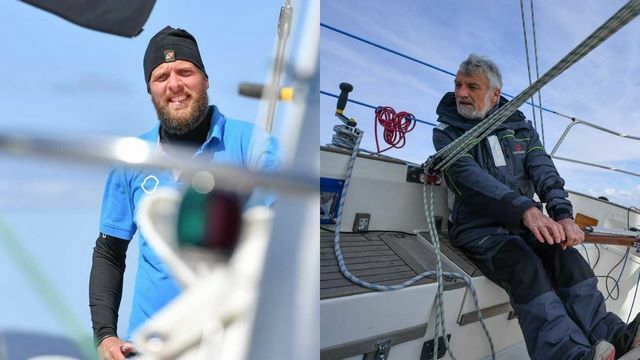 As is Finland’s Tapio Lehtinen aboard his Gaia 36 Asteria who avoided the worst of one storm last week and is attempting to outrun another today. 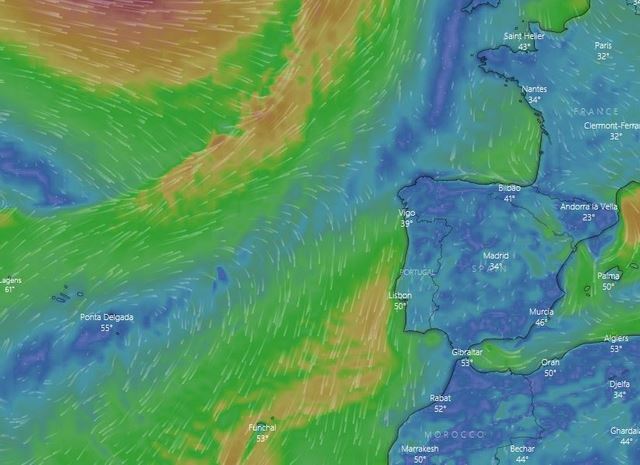 Now within 1,700 miles of Cape Horn but still beset with barnacle growth, he was making 4.3 knots today. Behind him though is the sceptre of Sir Robin Knox-Johnston‘s Suhaili catching up in their virtual race round the world. 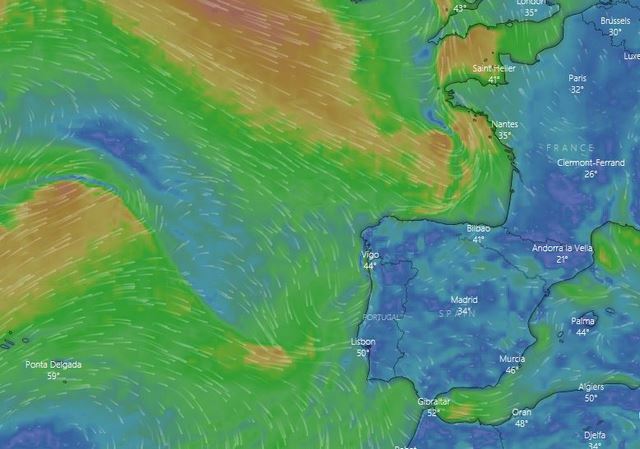 Suhaili‘s relative position from 50 years ago was 512 miles behind a week ago. Today, the distance is nearer 280! Sailors have been making use of the amateur Ham radio net for decades. Competitors in the Nedlloyd Spice Race from Jakarta to Rotterdam back in 1979 were surprised to find that King Hussain of Jordan was an avid amateur operator and regular participant on their net. National telecommunication authorities have often turned a deaf ear to unlicensed operators using made-up call signs while at sea. But this may be coming to an end following a warning from one National regulator to a GGR skipper. They warn: “You use an amateur callsign and are making connections with amateur radio operators. The call sign letters are not registered, and thus illegal. I ask you to stop. If you have a legal amateur callsign then I urge you to present it”.